Two vials full of sand and small shells, collected at Mokule'ia Beach, North Shore Oahu, Hawaii. This location was the filming site for the Oceanic 815 crash scenes at the beach and the first survivors camp as seen in S1E01 - Pilot, Part 1. 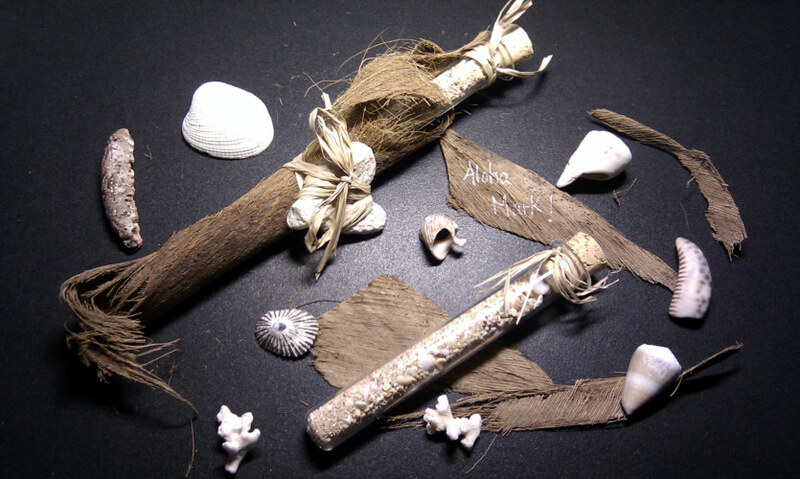 One of the vials is wrapped with coconut fiber. The set also contain a rock in heart shape, two pieces of a coral and some larger shells.